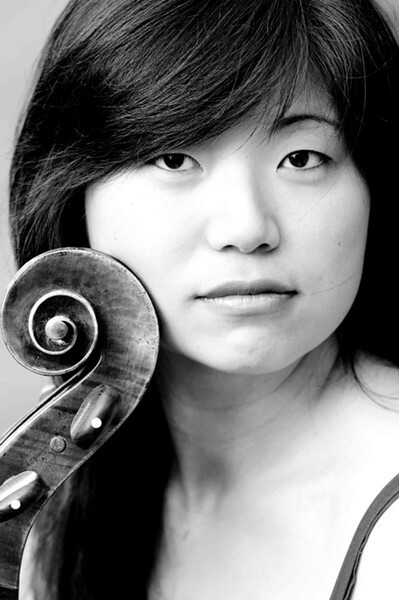 PHOTO BY TATIANA DAUBEK Cellist Beiliang Zhu performed with Pegasus Early Music on Sunday during its "Bach & Bach" concert. It was considered a sign of great skill for a composer to "unite" them in a single work, and J.S. Bach and Francois Couperin were two of that era's best at synthesizing these differing qualities of European music. Bach and Couperin were roughly contemporaries, certainly aware of each other's work, and may even have corresponded with one another, a correspondence which, alas, has not survived. For its most recent concert Sunday afternoon, Pegasus Early Music celebrated their music in interestingly intimate style, with a program that never offered more than three people onstage at a time but which still gave a solid sense of both composers' genius. The concert also celebrated the talents of two sterling early-music performers: cellist Beiliang Zhu and harpsichordist Leon Schelhase. Zhu, currently an Eastman DMA student, has already won a number of high-profile competitions, and is the first musician to win the Heifetz Competition playing a period instrument. The South African-born Schelhase teaches at the Curtis Institute of Music, and he'll be back for the final Pegasus concert of the season in April. It began and ended with Couperin — a selection of pieces from his first ordre (suite) for harpsichord, and the first of his rarely-performed suites for viola da gamba with harpsichord and theorbo. Couperin wrote hundreds of these little harpsichord vignettes: dances, character portraits, and much more. Couperin's 1728 Pieces de violes are late pieces (he died in 1733, almost 20 years before Bach). It is also a collection of dances, but the virtuosity is at the service of a rather serious and slightly melancholy air that is very appealing. It ends with a passacaille, variations over a constantly repeated bass line. For whatever reason, this form led French composers to create some of their most sublime music. Couperin's may only be for three players, but it has the cumulative power of the passacailles that end the operas of Lully and Rameau in grand style. For this suite, Schelhase and Zhu were joined by lutenist (and Pegasus artistic director) Deborah Fox, whose playing filled out the texture beautifully. It's a bit odd to think of recondite works like Bach's solo cello suites as audience-pleasers, but so they became in the 20th century, championed first by Pablo Casals and then by just about every other cellist. In Bach's day, the idea of a virtuoso cellist didn't really exist, so it is interesting to wonder just who he wrote these challenging pieces for. Zhu played the Bach solo suite on a five-stringed cello (the instrument it was written for), The fifth string extends the high end of the instrument, adding brilliance to Bach's many contrapuntal effects. Zhu's playing is dashing and heartfelt, and her playing of the suite was characterful and communicative. As with Couperin, Bach transformed dance music into something sublime. How could this music ever have been considered dry and dull? For Bach's Gamba Sonata in G, Zhu switched to a seven-stringed viola da gamba (or just "gamba"). This sonata is really a jewel: a short but perfectly balanced piece that has the energy and indelible melodies of the Brandenburg Concertos, but in a tidy package of two performers. Zhu and Schelhase's performance of it was a jewel, too. The quick movements sparkled with give-and-take between their instruments (Bach treats the right hand of the harpsichord as another, higher-pitched melody instrument, balancing the gamba). The brief Andante is a couple of minutes of arpeggios and sustained notes, perfectly arranged into a perfectly satisfying form by Bach — and performed by these two musicians with a serene concentration that bordered on the hypnotic.